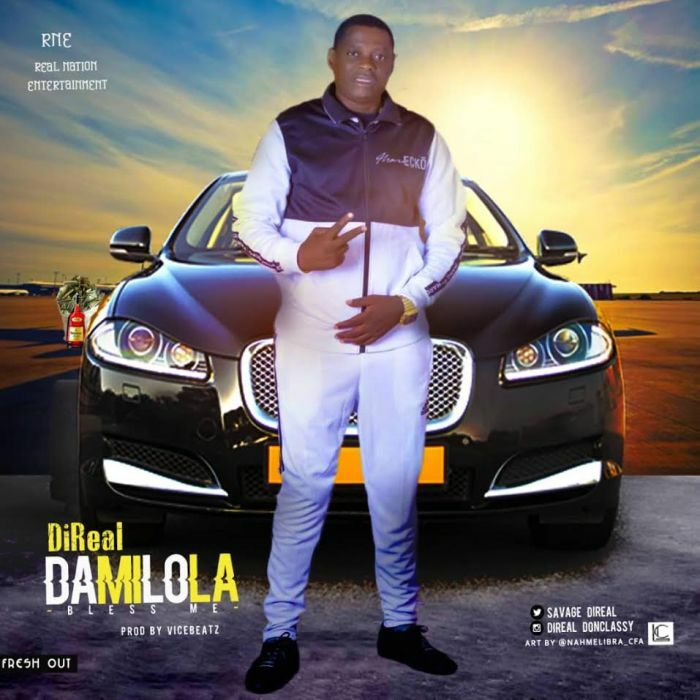 Biodun Savage Omo Savagee a.k.a #DiReal has just released this new Afro-R&B track ‘Damilola‘ which is a Yoruba word meaning ‘Give Me Blessing’ This track is a must listened to as it combines the elements of sweet melody and prayerful Rythm in tune with the current trend in the industry. This track which is in line with this prolific singer’s resolve to produce hit upon hit consistently and is about the best of all hundreds of tracks this banker turned singer has produced in 2years. You definitely would put it on repeated playback when you listen to it. Arguably one of the best in the industry now, Damilola was produced by fastest rising, most sought after producer in town now, Vicebeatz.